Activists Tamika D. Mallory and Mysonne Linen share an exclusive message with theGrio on why criminal justice and prisoner reform are humanitarian issues that should be on everyone's minds. Let us begin by saying, we support incarcerated individuals, full stop. On February 1st, we learned from Shaun King about a human rights crisis at the Metropolitan Detention Center in Brooklyn, New York, where for the past eight days, 1,600 people, many of them sick, have been without heat or electricity in below-freezing temperatures. We immediately called for a solidarity action, under the banner of #UntilThereIsHeat, and a number of organizations including Justice League NYC, G.M.A.C.C., Life Camp Inc., Kalief Browder Foundation, Bay Ridge for Social Justice, and Rise and Resist, answered the call. We also thank those concerned individuals such as Jamila T. Davis, who is an influencer and formerly incarcerated individual and Love & Hip Hop New York personality, Yandy Smith Harris as well as family members who were committed to staying outside of the facility until services are restored inside the Metropolitan Detention Center. Before we go any further, we want to be crystal clear about one thing: As a person who spent seven years of his life in prison, and as an activist who has worked with formerly incarcerated people for over 20 years throughout her career, we unequivocally support the rights of incarcerated people. If this is an issue to you, you can stop reading, unfollow, and be done with us right now – or you can keep reading and maybe we can figure out a way to work together to solve problems. 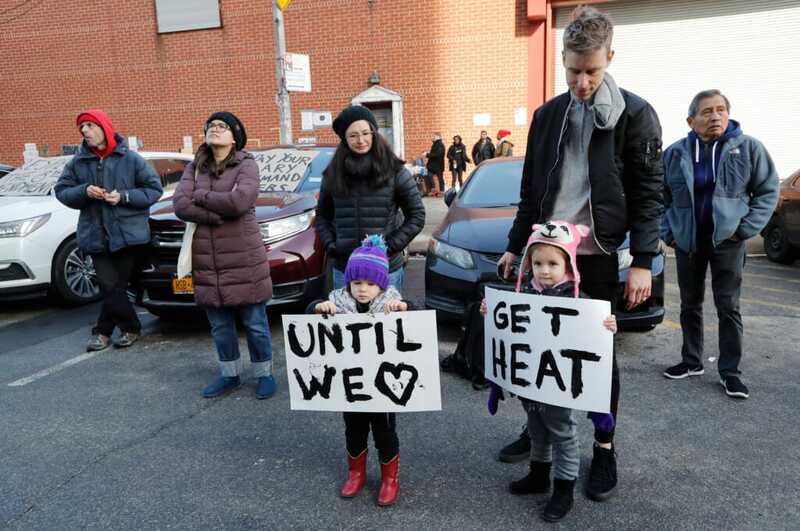 For the past week, the men and women being held at the Metropolitan Detention Center have had limited or zero access to heat, electricity, and hot water. Their meal schedules have been irregular. Some have icy water leaking from the ceiling onto their beds. They’ve had no telephone access and no visitation, and are cut off from their loved ones and lawyers; and the most egregious of all, there has been a lack of medical and mental health treatment. 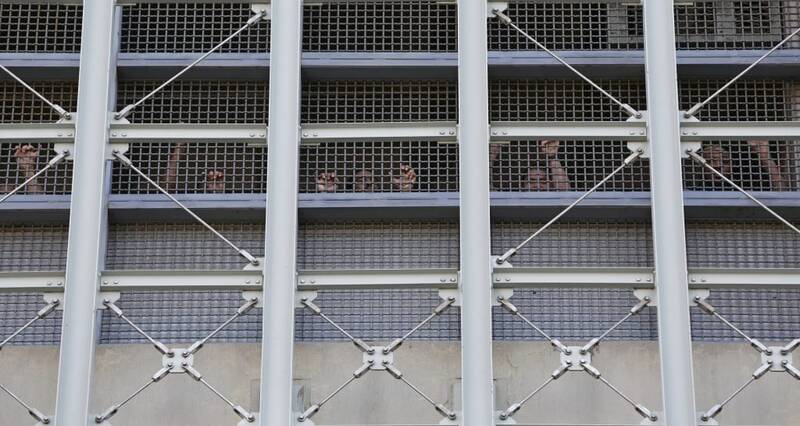 One of the things that struck us the hardest was the sound of hundreds of people inside the jail banging on the windows and walls—a sound that brings to mind historical accounts of ships full of African people bound for slavery, banging on the walls of the ships transporting them. Many of these people are detainees who have not been convicted. Many are waiting for their cases to go to federal district court. 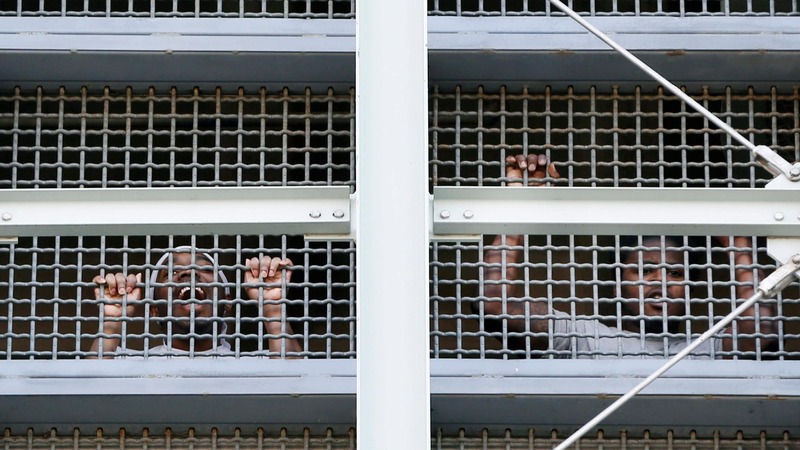 Some are awaiting sentences this week, and have been unable to contact their lawyers. Regardless of their different stories, we must be unequivocal in saying that even if they have been convicted, no one should be tortured in this manner – because this is torture. The Eighth Amendment to the United States Constitution prohibits cruel and unusual punishment. No human being should be subject to the extrajudicial punishment being inflicted on the men and women at the Metropolitan Detention Center, where Warden Herman Quay has reportedly refused to provide or accept blankets and thermal wear, as temperatures dropped to the teens last week. We know the criminal justice system has always been unfair, unequal, and unjust for people of color. So don’t come and tell us that these people are criminals, because this system has had disparate impacts on people of color. Some were swept up in dragnets of the War on Drugs. Some of just need help, yet instead, their suffering is compounded by conditions which are gross violations of human rights – as codified in the UN Standard Minimum Rules for Treatment of Prisoners. Because of the nature of the criminal justice system and how it operates, we as human beings reading this have to be careful not to condemn the folks who are still in the process of fighting for their freedom. This is our moral obligation. Right now, we ask with the highest level of urgency – as people with untreated medical conditions bang on walls and windows for help – if not the men and women at the Metropolitan Detention Center, then who? We watched Warden Quay go home on Saturday night and asked ourselves, how does the captain abandon his ship while it sinks? We stayed all night long, so why wouldn’t the warden stay all night as well to ensure the safety of more than 1,600 people in his care? The common theme we’ve heard from the many elected officials who’ve been inside the facility is there seems to be a lack of urgency from administrators. Warden Quay hastily leaving on Saturday night seemed to confirm this. Later that evening, a truckload of blankets and emergency supplies from the NYC Mayor Bill DeBlasio’s office arrived, but we learned through our direct communications with inmates that these were never distributed and people were left freezing cold. The Metropolitan Detention Center is under federal jurisdiction, so we call on the Trump Administration to immediately stop the human rights violations at the facility. The lights and electricity may have returned, but there are many issues that remain. 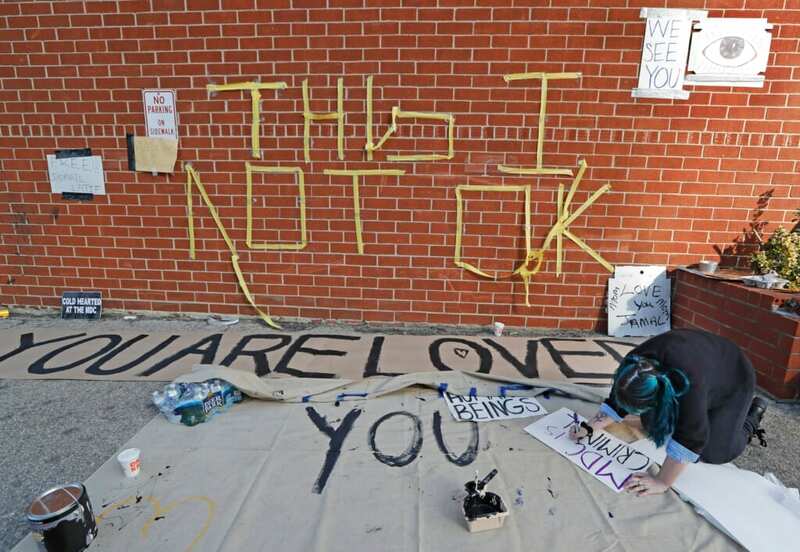 What we witnessed this weekend is an acute outbreak of a chronic problem. In 2016, a federal judge said she refuses to send women to this facility because of what she called “unconscionable” “third world” conditions, which have been documented in numerous reports and lawsuits. Immediately after the GOP suffered a shattering defeat in the midterm elections, Donald Trump signed into law a criminal justice reform bill, the “First Step Act.” If the Trump administration is serious about criminal justice reform, we expect to see efforts to address not just the issues within the Metropolitan Detention Center, but all other federal detention facilities. because these types of problems are unfortunately common across facilities, as we know from many reports. We will continue to be outside of the Metropolitan Detention Center until all of the electricity and heat is restored, and the neglected medical needs are met with proper care and treatment. If you would like to support the cause, you can donate to The Gathering for Justice. We are grateful for the number of concerned community members who have committed to sending food and survival kits, and elected officials who’ve joined us on the ground, gone into the facility, and shared information about the situation inside with us and the family members who are desperate for any news about their loved ones.